I tend to like practical gifts for birthdays and holidays. I like to think that the gifts I give will get used regularly rather than sitting on a shelf somewhere. 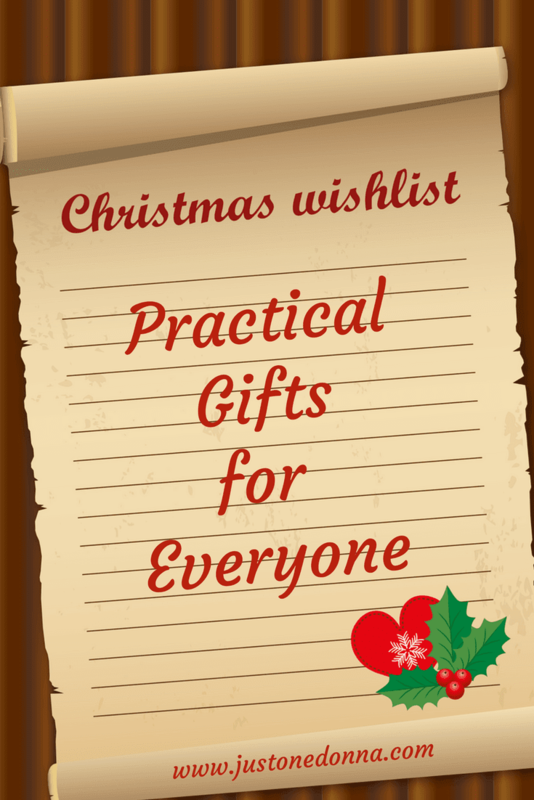 Today I wanted to share the practical gifts that are part of my gift giving this year with hope that this list will give you inspiration for those hard to shop for friends and family on your list. 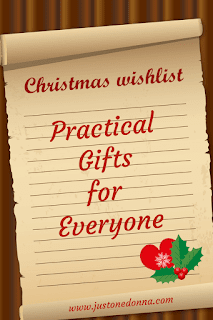 This gift list was prepared with suggested products that I own, have gifted, or I would appreciate receiving as gifts. It is my opinion that everyone would appreciate receiving any of the items on this list. I'm suggesting these gifts for holiday gift giving but these gifts will be appreciated any time of year. The affiliate links in this gift guide are provided for your shopping convenience. This is a busy time of year and shopping from the comfort of your home can only make your life easier. If you shop using these links I will receive a small compensation that will help support the costs of operating this blog. Charging Station Dock with Five Ports: These days everyone can use some organization when charging their electronics. This docking station will work with any device and will charge up to five devices all at once. Yay! Air Compressor for the Car: Recently, I got caught with a tire that had a slow leak and had trouble finding a working air compressor at the local gas stations. That inconvenience and frustration made me vow to never get caught in that situation again. I immediately ordered this air compressor. Wouldn't this be a thoughtful gift for loved ones on your gift list? Add a handy digital tire pressure gauge and they will have everything they need. Waterproof Blue Tooth Speaker: I have this JBL Blue Tooth Speaker and love it. The sound is wonderful and it is easy to connect to your blue tooth enabled device. We use our speaker outside during the warmer months of the year so the waterproof aspect of this speaker is important. We love it for listening to our Pandora music playlists. It is available in multiple colors that allow you to customize your selection for multiple people on your list. Shark Ion Robot 720 Vacuum: I don't own this vacuum yet but sure would love to. I can't think of anyone who wouldn't love to receive this vacuum. Do you need a joint gift for a busy mom and dad in your family? Is someone you love downsizing and would love some help with vacuuming? What could be easier that a robotic vacuum? Ultrasonic Cool Mist Humidifier: Winter is the perfect time of year to gift a humidifier. This humidifier is a perfect size for the bedroom. We have used a humidifier every winter for many years and can say we feel the difference (in a bad way) when it is not running. We breathe easier and our skin feels better when the air in our home is properly humidified. This HEPA Air Purifier is a wonderful companion to a home humidifier especially if the recipient has allergies or pets. It always feels like the air in homes gets stuffy and stale during the colder months of the year when everything is closed up tightly. An air purifier will help with that. Finally, give the gift of peace of mind with this Carbon Dioxide Detector: Pick one up for yourself, too, if you don't have one yet. That's it for my practical presents suggestions. This is my final gift guide for the year. If you missed my Gifts for the Home Cook gift guide you can find it here. Let's get our shopping done now so we can enjoy the rest of the holiday season! Thank you for sharing this post on social media.